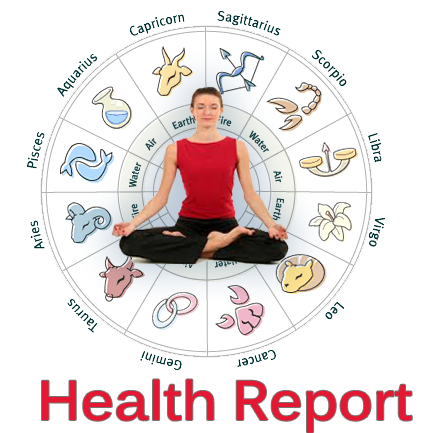 In present times, most astrologers are recommending the use of gemstones more than any other astrological remedies. The reason for these Gemstone recommendations lies in the fact that over a period, gemstones have proved themselves as the fastest in producing results and various gemstones have proved their ability to sustain those results as long as they are worn by native. Many people have got rid of some very annoying diseases, problems and other issues after wearing a specific gemstone or a combination of gemstones. Many others have achieved very good things in their lives after wearing a specific combination of gemstones, which these people were otherwise not capable of achieving. Hence, the use of gemstones as an astrological remedy is increasing day by day and more and more people are benefitting by wearing the gemstones recommended to them by their astrologers. Many astrologers who practice around the world, in various forms of astrology, suggest to their clients various types of gems, while Vedic astrology strongly recommends the use of the gemstones they belong to a planet among navagraha only. 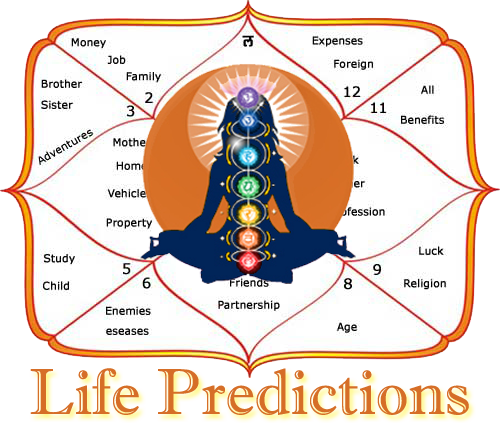 For this reason, Vedic astrology is only 9 gems, one for each planet between Navagraha. These nine gemstones are called Ruby, Pearl, Yellow Sapphire, White Sapphire or Diamond, Red Coral, Emerald, Blue Sapphire, Hessonite and Cat’s Eye, and they are worn for Sun, Moon, Jupiter, Venus, Mars, Mercury, Saturn, Rahu and Ketu respectively. Through this series of articles we will look at certain characteristics possessed by each one of these gemstones and in the present article, we will discuss some important things about Ruby, which is the gemstone associated with Sun. Sun as we know is a fiery, dry and hot planet and Vedic astrology considers it as the king among navagraha. Sun is the giver and promoter of every kind of life on earth the importance of this planet in our lives cannot be described in words. The strength of Sun can vary from horoscope to horoscope, which means that in some horoscopes, Sun may be very strong, it may be having average strength in some horoscopes and it may be weak or very weak in some other horoscopes. 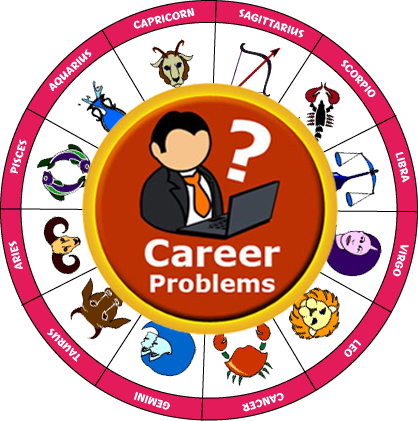 The strength of Sun is measured by various methods available in Vedic astrology though some astrologers and people interested in astrology still think that the presence of Sun in a particular sign is the only factor that can affect the strength of Sun in a horoscope. This is not true as there are many factors, which can affect the strength, or weakness of Sun in a horoscope and the placement of Sun in a particular sign is just one of them. If you go forward, the sun may become weaker in a horoscope because it is on the mark of weakness due to the pain of one or more bad planets in the horoscope, due to the weak placement in some houses of the horoscope and many other factors. When the sun becomes weaker in a horoscope, it is unable to protect its generic and specific concepts, and therefore the native may see bad results or fewer good results related to the significances of Sun. When such a weak sun functions as a benefic planet in a horoscope, an extra force must be applied to a sun that is so weak that it can begin to function properly in the horoscope and it may protect its significances. This results in good things happening to the native in various spheres of his life. This extra power is provided by a special gem called Ruby that transfers energy from the planet’s sun to the planet’s body planet itself into the body of the native who wears this gemstone. Ruby is called Manikya in Sanskrit and in Hindi whereas it is called Yakoot in Urdu and Persian. This gemstone captures the energy of Sun from its upper surface and it transfers this energy into the body of the native who wears it. The extra sun energy transferred by Ruby to the body of the natives gives the sun extra strength and begins to work harder in the sun horoscope, body as well as the Aura of the native. It should be noted that the different colors of the Ruby may be suitable for different natives and therefore every native must use a Ruby belonging to a color belonging to Sun and this gemstone is not capable of changing the working nature of Sun in a horoscope. It means that if Sun is working positively or Sun is benefic in a horoscope, wearing this gemstone will increase the strength of Sun and as such positive Sun gains strength, it will start producing good results for the native with increased quantum and frequency. On the other hand, if Sun is working negatively which means that Sun is malefic in the horoscope, wearing the gemstone for Sun will provide additional strength to this negative Sun and as it gains strength, it will start causing problems and losses for the native with increased strength and quantum. Hence, utmost care should be taken that only those people should wear this gemstone, who have a benefic Sun in their horoscopes whereas the natives having a malefic Sun in their horoscopes should not wear a Ruby as wearing this gemstone can cause serious problems related to many spheres of their lives. Looking at the composition of this gemstone, Ruby belongs to the family of corundum which is a type of family of gemstones and this gemstone is found available in different colors and shades of Red ranging from light red, light rose red, light violet red to dark rose or dark violet red, dark blood red or dark brown red. The color and clarity of this gemstone are 2 important aspects to look for when purchasing a Ruby though color and clarity are not the only aspects which decide the quality of this gemstone and there are many other aspects which can affect the final quality and efficiency of this gemstone. Hence, it is very difficult for a common person to test or check the exact quality of a Ruby but even then, making a check for proper color and proper clarity can still make a difference in the kind of gemstone you are going to purchase. It should be noted that different colors of Ruby may be suitable for different natives and hence every native should wear a Ruby belonging to a color, which has been recommended by his astrologer. Changing the color of this gemstone with your astrologer’s recommendation can cause some side effects that may disturb you with the benefits, though the Changing the color of this gemstone, it is unlikely that this gem will have a negative effect on you if the sun is beneficial to your chart. Hence due attention should be paid to the color of your Ruby when purchasing this gemstone. Pay attention to the weight recommended by your astrologer by this gem, and it is recommended to use a ruby, which is inside the gemstone the weight range recommended by your astrologer as changing the weight of this gemstone with your own discretion or on the advice of your jeweler can bring unwanted and unwelcome results for you. For example, wearing a Ruby much less in weight than the weight of this gemstone recommended by your astrologer may not bring significant good results or any results at If you use a ruby whose weight is much greater than the weight of this gemstone, the mild or severe side effects suggested by the astrologer may cause it. In some extreme cases, it can also produce negative effects due to the native not being able to handle so much extra energy of Sun, which has been transferred into his body through this gemstone. Therefore, attention should be paid to the weight of ruby that your astrologer recommends when purchasing this gemstone. Vedic astrology recommends that you perform certain procedures before using a ruby, which can include steps like cleaning and activating this gemstone. Purification of a Ruby is the process through which any negative energy attached to this gemstone is removed with the help of Mantras and some specific Vedic procedures whereas energization of a Ruby is the process through which this gemstone is charged with the help of Mantras and some specific Vedic procedures so that it may produce its optimum results. The processes of purification and energization of a Ruby are technical processes and only expert pandits who know the proper procedures to carry out these processes should conduct them. Once the natives have energized the properly cleaned and activated ruby in a ring or pendant, the next step is to use this precious stone involves some specific procedures. Vedic astrology recommends using a ruby on Sunday morning when the natives use this gem for the first time in their lives. Before using a ruby on Sunday morning, natives need this gem in Gangajal (Holy Water Ganges River) or a mixture of raw milk and pure water about 8 to 12 hours before the time of wearing this gemstone, which comes out to be Saturday evening in most cases as this gemstone is recommended to be worn on a Sunday morning. The native should take his bath on Sunday morning, say his prayers and then he should sit or stand in front of the sow ring or pendant and he should first chant Mool Mantra or Beej mantra of Sun for 108 times or 27 times and then he alai should pray to god Sun and ask him to provide best possible results from this gemstone. After doing so, the native should take the Ruby ring or Pendant, he should rinse it with clean IF” water in case he had put it in a mixture of unboiled milk and aim water, then he should wipe it with a clean cloth and after al 5 completing all these procedures, the native should wear his Ruby ring. Wearing a Ruby with proper procedures recommended by Vedic astrology can bless the native with many good and very good things, which come under the general as well as of the native. Therefore, all natives are advised to wear this gemstone with proper procedure in order to get maximum benefits from this gemstone. After the first use of this gemstone, the native must periodically clean his ruby for the best results of this precious stone. A good frequency to clean a Ruby is once every 3 to 6 months depending on the nature of job of the native and depending on how fast this gemstone collects greasy deposits of oil and dust on its surfaces. If you do not have clean long time Ruby, this can lead to heavy deposits on the surface of this gem, especially at the bottom of this precious stone. Get Free Online Gemstone Recommendation By Astrologer Vinayak Bhatt Now.